Group of pewter table articles. 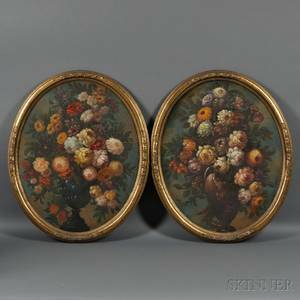 Continental School, 19th Century Pair of Landscapes with Rustic Cottages Unsigned. Oil on panel, 6 x 8 3/8 in. 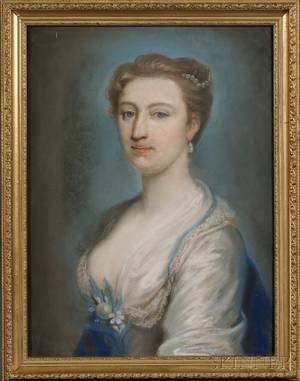 (15.0 x 21.3 cm), framed. 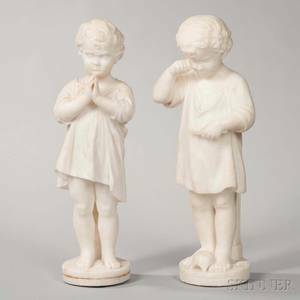 Condition: One with abrasions to sky, both with fine craquelure, discolored varnish, surface imperfections and grime. 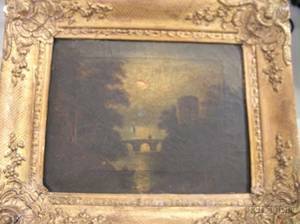 Continental School 19th Century Pair of Landscapes: River View with Bridge and Farm View with Pond. 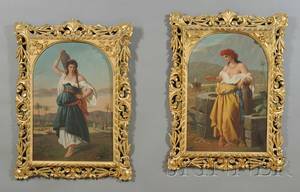 American School 19th Century Pair of Landscapes with Indian Figures. 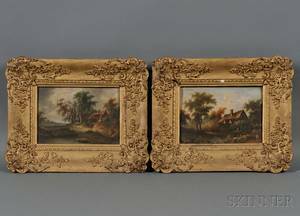 American/Continental School 19th Century Two Framed Landscapes with Waterway Villages and Castle Ruins. 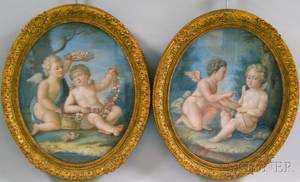 Continental School 19th Century Pair of Oval Framed Cupids. 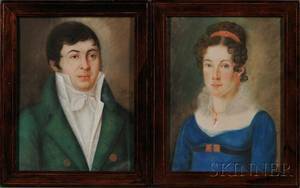 American/Continental School 19th Century Pair of Portraits of a Young Couple.